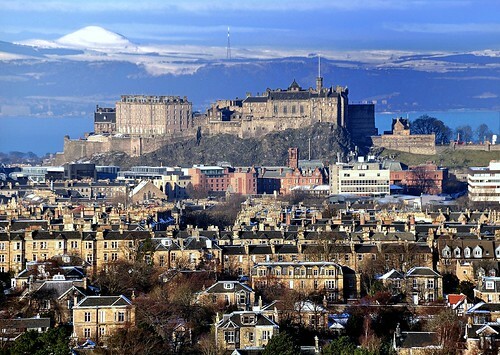 I travelled to Edinburgh castle last week to speak at an event hosted by Teleperformance. They put together a breakfast event at the castle featuring me, o2, and PA Consulting. Outstanding venue and great presentations – worth the trip! Most corporate events don’t get feedback like this. 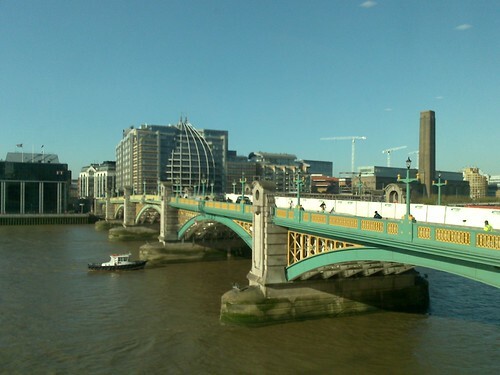 It is to the credit of the Teleperformance team that they hosted a superb morning at an amazing venue – I’m pleased that their guests really enjoyed the content too! I was on the road travelling and working for the past two weeks. Sometimes sleeping on planes and working from airports, sometimes at conferences – I did five events in those two weeks involving four talks and one where I was doing the official social media coverage. During this time, my email stacked up. If you have been waiting for me to reply to something then I apologise. Today was my first proper day in front of my desk for a couple of weeks and I have nearly 500 messages in my inbox today and about 350 of those are unread. I probably get the same amount of email as most professionals. A few important mails, a few that can wait, and a lot of junk… whether it’s actual spam or just notifications about this or that on ebay or the social networks. But email takes time. Each mail has to be read, even just to decide whether to delete or file it. I now hate it when companies email me press releases when they could be using a social network such as Twitter – I can see far more quickly on Twitter whether something is worth pursuing or not. At least I don’t organise my time by email. I know of many people whose working day is dictated by what arrives in the inbox… I usually have a to-do list that has nothing to do with the arriving email. But everywhere I have been travelling on my journey has had connectivity, so in theory I could have been checking my mails in Europe, Asia, and the Middle East. But the reality is that when travelling on business, your time is packed with more important things than sitting in front of a list of emails. The day, from breakfast to dinner is usually packed with meetings or talks or other work. But if this prioritisation of time is how I behave when travelling, then the obvious question has to be, why do I suddenly have time to deal with the deluge of email when I get back to the office or my home? If my time is too valuable when on the road, then surely it is even more valuable when I am working hard on the things that I get paid for. So here is a new resolution for 2012. I’m going to spend a short amount of time, maybe 15-20 minutes at the start and end of each working day, checking for important email. Anything else I don’t have time for is just going to get binned. Will I lose anything valuable? Will I miss something vital? Or will I just reclaim wasted time and start resetting my priorities back to spending more time on what I actually get paid for? It was always an anachronism in India. West Bengal ruled by a communist party for the past thirty-four years and always trying to bend and flex the limits of communist ideology so they might embrace the real world. Now the communist rule is over. 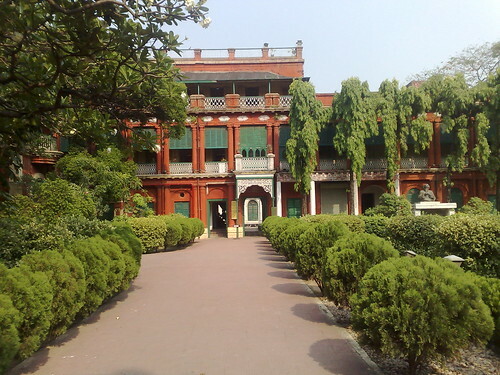 I remember being in Kolkata (formerly Calcutta) working on behalf of the West Bengal government a few years ago. They asked me to give a keynote speech at a conference and then do some consulting work focused on how to develop the local hi-tech services economy – IT and IT-enabled services. I rose to speak to the conference knowing that the IT minister of West Bengal was going to speak immediately after me, but he had not briefed me on his speech and I had not been asked to brief him on mine. I showed them that they have a unique proposition that is focused on highly trained resource. I explained that they should not try to ape other Indian states, such as Karnataka (where hi-tech Bangalore is located), and focus on offering low-cost labour into the growing call centre industry as it would not be a long-term opportunity for the region. The minister stood up and the first image he presented described how much cheaper the labour is in West Bengal, compared to Karnataka, and how great this would be for call centres. The entire conference hall fell about laughing at him. Embarrassing for me, and probably more so for him as it showed he was not really in tune with the business community and had not even taken the time to check what the speaker ahead of him was going to say. But as I worked with the government there, one thing in particular intrigued me. The IT sector was declared a ‘special’ industry. The local government wanted to attract foreign investors so they decided that all the normal labour legislation would not apply to this one industry. In West Bengal, strikes have always been common because workers often flex their muscles and refuse to work if they have a grievance with the management. In the IT sector, strikes were banned. The minister smiled at me when he told me about this and declared that foreign investors have nothing to fear from the communist government, because of the ban on industrial action in the sectors they were trying to boost. So I asked how the IT workers would get to work when the bus drivers were on strike, or how the computers would work when the power company workers were on strike, or how the workers could eat if the restaurant workers were on strike? He couldn’t answer. He only gave some weasel words about IT staff sleeping in the office to avoid transport strikes, or companies bringing in food and using diesel generators to keep the lights on. None of it was a real solution and if I was a genuine foreign investor, I wouldn’t have been impressed because the government was trying to remain communist in spirit, yet also doing anything they could to attract foreign money to the region. So the communists of West Bengal were never really communist in the sense of Plato’s Republic, they just liked the colour red. And Che Guevara T-shirts. West Bengal has joined the rest of us in the real world at last. The business conference circuit is a merry-go-round of people trying to get on a platform and pronounce their expertise in a subject in the hope that they get noticed by someone in the audience with a bit of budget, so the speaker can drum up some business for his or her company. Because of this dynamic, most speakers at business events are not paid to speak, and in many cases (where they are a sponsor of the event), they are paying to speak to an audience. But I don’t have anything to sell, other than myself. 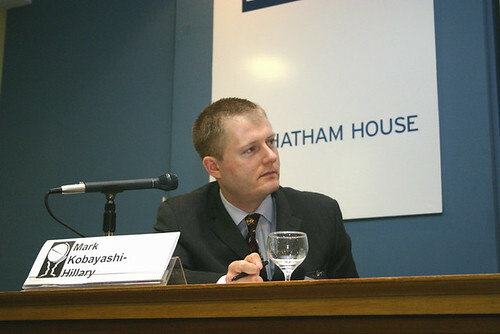 I do have years of experience speaking at events, organising other speakers, and chairing events. I’ve spoken all over the world on many subjects and in a variety of formats, and even written speeches for politicians, diplomats, and FTSE100 CEOs to help them speak on areas I am familiar with. I do speak for free at many events, for not-for-profit organisations, or events that have a particularly important audience I want to reach and it’s worth it for me to do the event free. But I don’t normally speak at commercial events for free. And after all, if a conference organiser wants a decent chair who can handle speakers, field questions, ask relevant questions when the audience doesn’t, and generally keep things running, then surely that has some value? So it’s a bit annoying to get called by a conference organiser who says he “heard of me from somewhere” and who then asks if I want to chair his conference. I said the agenda looks interesting, so maybe. He then asked me to detail if I have ever chaired an event before. Perhaps he could have done a little bit of the most basic homework? Google is quite good for that. He offered me a free ticket to the event. Which, as a speaker, is kind of essential to get in. And the free ticket has a value of £1,400! So there is my payment – in free entry. If people are paying £1,400 to get into the event then that’s a commercial event, so why are important elements of the event – such as deciding on a chairman – done on the cheap by calling around to find someone who will do it free? I actually have a speaker agent in the UK and USA now, because I often found that companies would book me, then change date or cancel events with short notice, meaning I would turn down other work and hold dates blocked in my diary, only to find them refusing to pay for an event that did not happen. At least with an agent in the middle it’s all contracted. I once had to explain opportunity cost to an Indian technology firm after they cancelled an entire week of work with two days notice. Maybe I’m just ranting, but I know that most of the free speakers have a company to promote. If the conference organisers want someone independent, ready to offer opinion and thought, and with great experience speaking and chairing, then they should be prepared to pay. 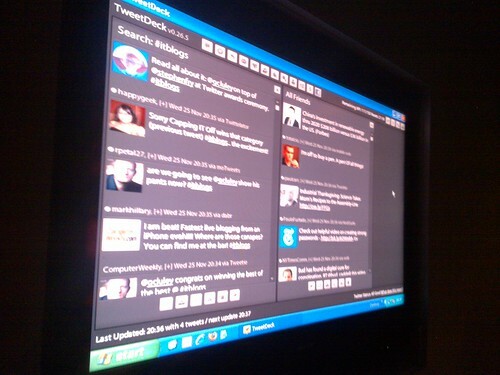 Have you been to a conference recently where Twitter was used to create more interactivity? I’ve been to a few. It’s easy to do at all the social media events. Just put up a big screen and agree on a hash-tag and everyone will make comments. Whether it’s anything useful is another matter entirely. I’ve also been to some events where Twitter was introduced as a good idea, yet the people in the audience had no idea how to use it despite their supposed status as leaders within the world of IT. So I was thinking about this when I was asked by the National Outsourcing Association to add some ideas to their annual summer party. It’s usually a great event, full of people from the tech industry, and usually on a London rooftop somewhere drinking in the sun. The party is going to take place next week on July 15 in London, but the part I managed to add starts from 4pm. It’s going to be some really interesting tech leaders speaking ‘TED-style’ for just 10 minutes each one after the other… so it’s a full-on session of ideas, with questions from the audience all being taken via Twitter. Take a look at the speakers here. If you want to ask them a question – right now – then just ask it on Twitter and use the hashtag #noaeue. Live commentary of the event will be published on the day on the account @thenoa, so follow that user if you can’t make it in person. 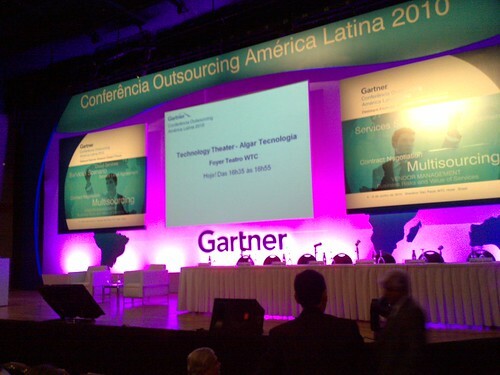 I’m at the Gartner outsourcing summit in São Paulo, Brazil today. I walked into the keynote session a little earlier this morning only to find that there is no Internet availability in the conference area of the hotel. I asked the conference organisers why I can’t get online. They said that people at the conference are not allowed to get online. Umm, so how is anyone supposed to blog the conference or make comments about what the speakers are saying? I did ask them earlier what the hashtag for the event is, only to be greeted by blank stares… Come on Gartner, what’s going on? You can do a lot better than this in Brazil. At NASSCOM in Mumbai, bloggers are allowed seats at the front of the conference hall – with power sockets – so they can get unobstructed video and photo content out onto the web immediately. This time it feels like I’m an imposition, asking constant questions and getting no answers. When will conferences allow more participation? At most conferences, the audience is packed full of knowledge, but they end up only having a few short minutes in a controlled Q&A session, the rest of the time is given to the speaker. Yet more knowledge and learning can be drawn from having a debate with many experienced people, rather than all listening to one experience. So why isn’t the unconference format more popular? Why isn’t more knowledge captured at conferences? All these learned speakers get together with an interested audience, but the majority of events I attend don’t bother to video the talks, or even capture the audio. All that information can be extremely valuable and published in a rich multimedia format with notes from speakers or audience members. Usually the last you hear of the content is at the end of the day over networking drinks. I realise the status quo is that sponsors finance events and sponsors want visibility and the opportunity to provide ‘thought leadership’, but when will some event organisers start structuring conferences that (1) create learning and real knowledge that lives on past the day itself and (2) allow everyone to participate in a meaningful way – if they want to?